How to Hide Files on Mac? Full Solutons in Here! How to Uninstall Apps on Mac? How to Clear Cache on Mac? How to Remove Advanced Mac Cleaner? Best Way to Find Similar Images on Mac. Why is Safari So Slow? How to Fix Safari Slow to Load? How to Speed Up Your MacBook? The Best Photo Management Software on Mac in 2019 Which is The Best Mac Cleaner in 2019? How to Uninstall Dropbox from Mac? Chrome Running Slow on Mac? Here is How to Fix! Not like a Windows computer, hiding files and folders on your Mac is not as easy as it sounds. What can you do? Never worry because if you are wondering how you can hide your folders and files on your Mac, I will show you here the steps for you to do this trick. This way, you will be sure that all those important files and folders that you have there on your Mac will surely be kept safe. All the files that you have on your Mac might contain important files for business purposes like business data, personal information, and other important things. Because of this, choosing to hide some files and folders on your Mac computer is one great way for you to have these files safe and private at all times. For you to know how you can hide your files and folders on your Mac, we have several solutions that are all safe and reliable that you can do. Though some solutions here are a bit complex to follow, just make sure that check on all the details of each instruction carefully. Now, We will go first for the easiest method. 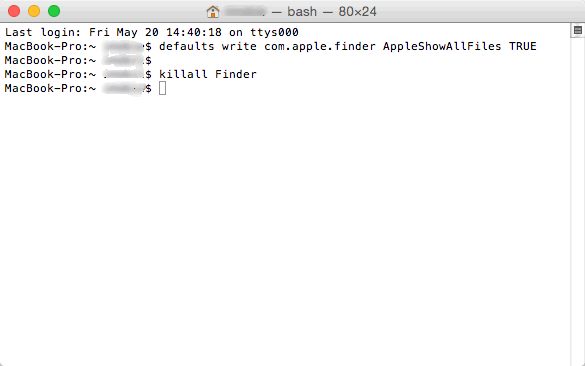 Use iMyMac - PowerMyMac to hide your files on Mac. Step 1. Open the software and select Toolkit. Then choose "Hide". Tips: You need to Set and confirm your password the first time you use this feature. Drag a file in the screen and hide it. Press the Hide button to finish this step. Note: There is a switch button below. Turn the button off, the file you dragged in this step could be shown on your Mac again. So easy, Right? iMyMac - PowerMyMac also allows you to encrypt your files. The steps are as easy as the Hide process. The terminal is one the default applications that you have on your Mac that will certainly help you in hiding your files and folders. If you want to know how you can do this, just follow the steps below. Step 2: After that, go ahead and launch Terminal. Step 3: Drag and then drop all the files and folders that you want to hide. Once you do this, the path of your path will be shown on your screen. Just go ahead and click on Return and notice that the file has disappeared on your Mac. 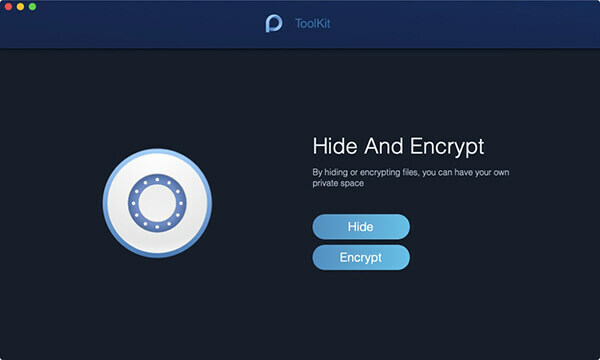 Having your files and folder encrypted is also a good way for you to keep them safe and private because you will only be the one who can access them. Here is how you can try to encrypt your files and folders using your Disk Utility. # 1: Launch Disk Utility. Just go ahead and type in Disk Utility in your Spotlight Search and then press Enter. # 2: Go to the menu bar and then choose File, then New, and then Disk Image from Folder. # 3: After that, choose the file or folder that you would want to encrypt and then click Image. After that, name it and make sure that choose 256-bit AES Encryption found in the drop-down box next to Encryption. And then after that, click on Save button and then enter using your password and then click on OK.
Now that you know how to hide your files and folders on your Mac, then it's time to let you learn how you can view your hidden files and folder. Here, we have set a step by step method for you to show the hidden files and folders on your Mac computer. Just go ahead and follow these steps. 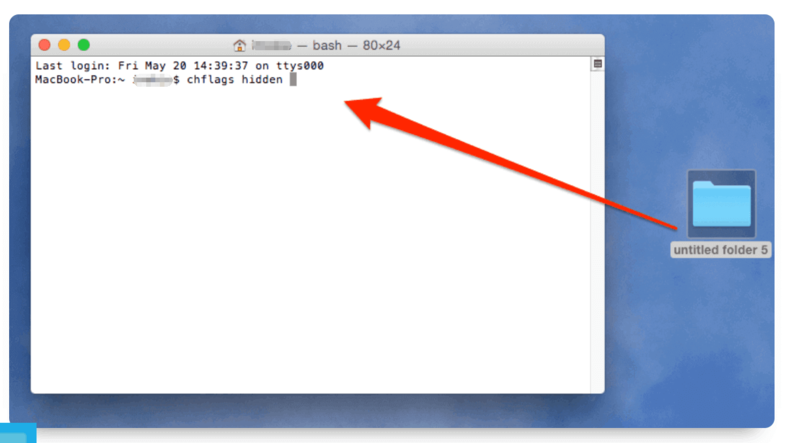 Step 1: For you to view your hidden file on your Mac, go ahead and launch Terminal on your Mac computer. Step 2: Once that the Terminal is launched, go ahead and enter these commands and then end it by pressing the Return button. As what we have discussed above and you still do not know how you can possibly unhide your hidden files and folders on your Mac computer. The solution to this is actually very simple. Just go ahead and ran the same command mentioned above. These commands are the ones that you have during the viewing of your hidden files. Here is a step by step method for you. Step 2: After that, go ahead and enter these commands: chflagsnohidden, and then after that, end the process by pressing the space bar. 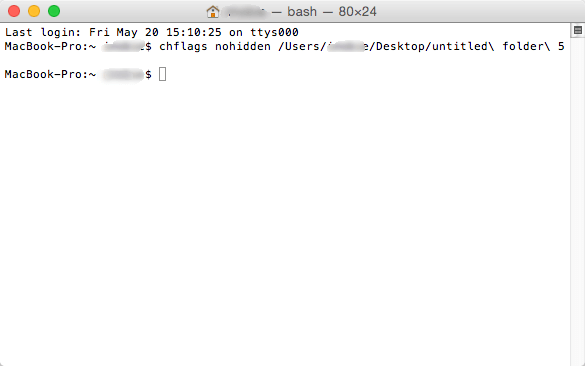 Step 3: Go ahead and unhide the files by going to your Terminal on your Mac computer. And then, once you are in the Termina go ahead and enter the following keys and end it by pressing on the spacebar. Step 4: After doing those steps, go ahead and drag all your hidden files and folders to the Terminal and then press the Enter key. NOTE: If you happen to remember the exact path of your files and folders, you can just easily type that in the Terminal. 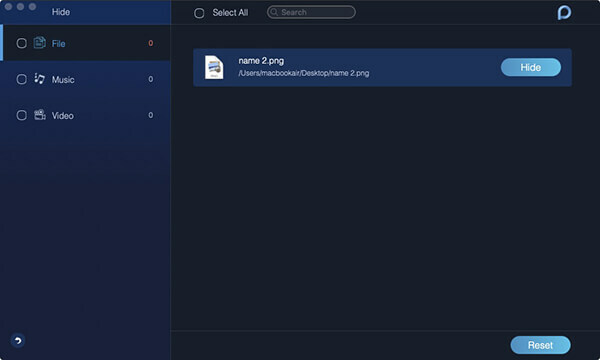 However, if in case you do not remember the path to your hidden files or folders, you can just simply do the steps above in the Finder and then drag and drop your hidden files into the Terminal. As you can see, it is really possible that you can actually hide your files and folders on your Mac computer. Doing this to your files and folders will let you feel safe and secure especially if these files and folder contain important information. As you can see, there are many ways on how you can do this to your files and folders using your Mac computer.